Aerial of the terraced Oakland Museum of California, Oakland, California. USA. 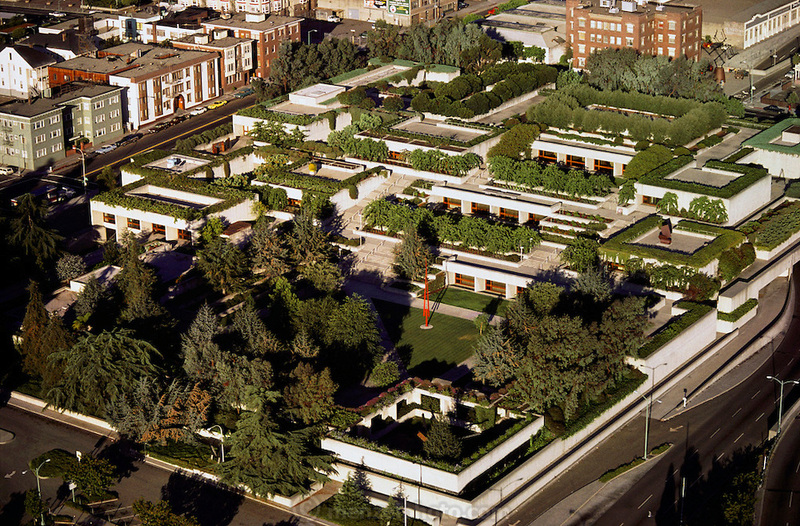 Designed by Kevin Roche John Dinkeloo and Associates LLC.